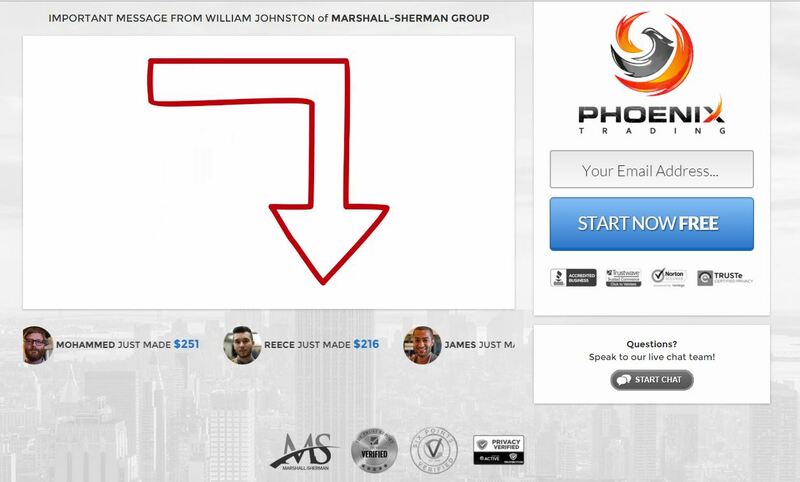 In this review we are going to have a look at the “Phoenix Trading” system on binary options, it is presented by William Johnston, the project coordinator for research for the Marshall-Sherman Group. Johnston says that his company is testing a trading software for a client with the aim of verifying that it is really profitable. It is called the Phoenix Trading Program. He says that they already conducted some testing with a first group of beta tester and that you can be part of the second group of 50 testers. The membership is free. 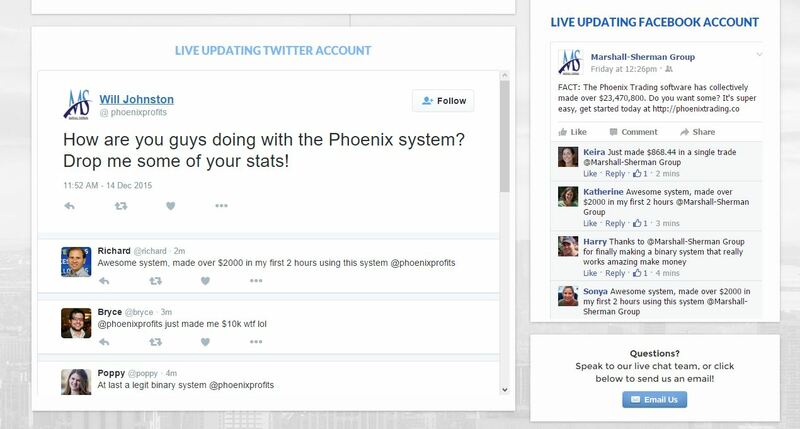 The Phoenix Trading Program can supposedly generate massive sums of money like $15,000 to $30,000 per month. Let’s get straight to the point, the Marshall-Sherman Group does not exist, this marketing company and William Johnston are pure fiction. You can do your own research, like we did, but there are several things on their page that indicate it too. First of all they don’t provide any real contact information about the company, no address, no phone number, no registration number. This app is often used by scammers. Secondly they use seals like BBB Accredited Business, although they have no rights to do so. The Better Business Bureau knows nothing about them. Then you have these non-existent social accounts on Facebook and Twitter, they are fake, in reality they don’t exist. And last but not least, they use the same trading platform as many other binary options scams, like Medallion or Centument for example. As usual they just changed the logo and colours. 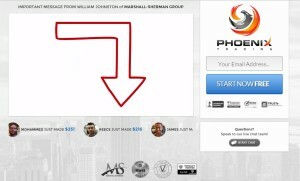 Phoenix Trading is an ordinary scam, which purpose is to make you open a trading account and deposit money. Because if you do it, these scammers will earn an affiliate commission with their broker. 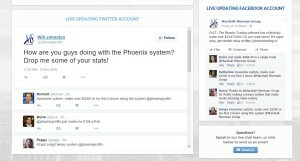 If you then trade your account with the Phoenix app, you will lose your money. This does not mean that money cannot be made with binary options, it just means that you should not trust anyone promising you free money. It takes some work on a demo account to learn trading binary options and become profitable.